This mining camp town existed for approximately 25 years from the late 1890’s to the 1920’s. As you can tell from the included information the town has totally disappeared. At its peak there were over 200 miners and families, stores, school, church, & bank. 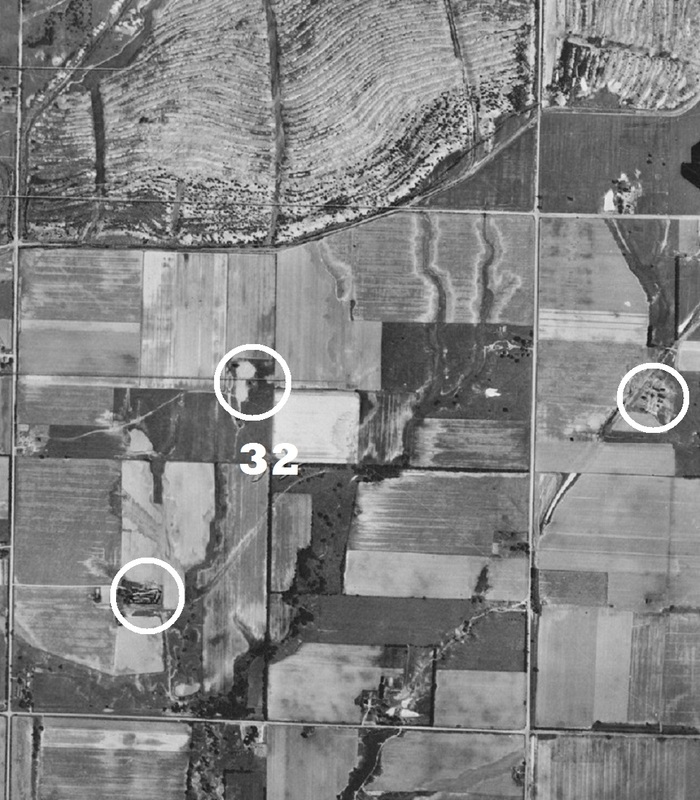 There were 4 to 5 shaft mines in operation at times over the towns existence. 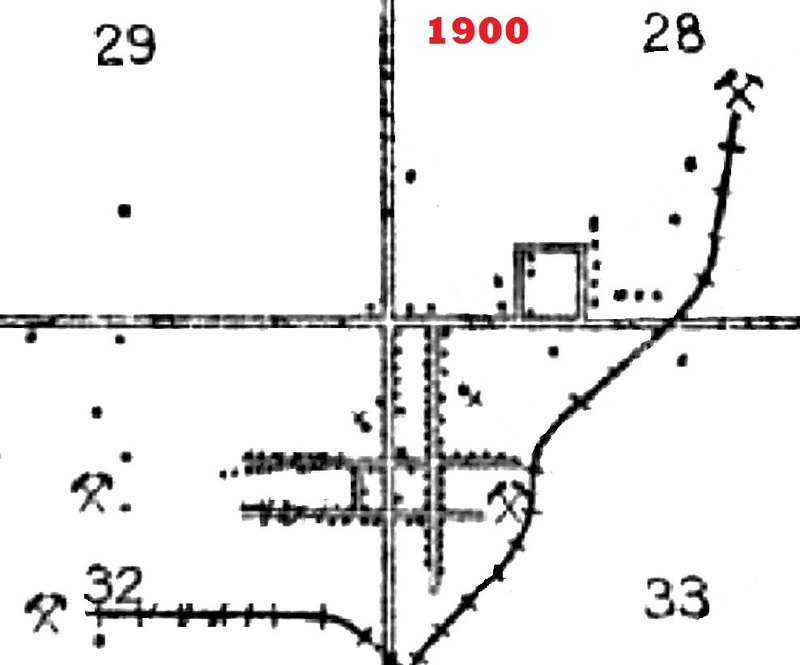 This first image is an excerpt from a circa 1900 map. This image is a 1940’s vintage aerial photo showing a large part of the area. 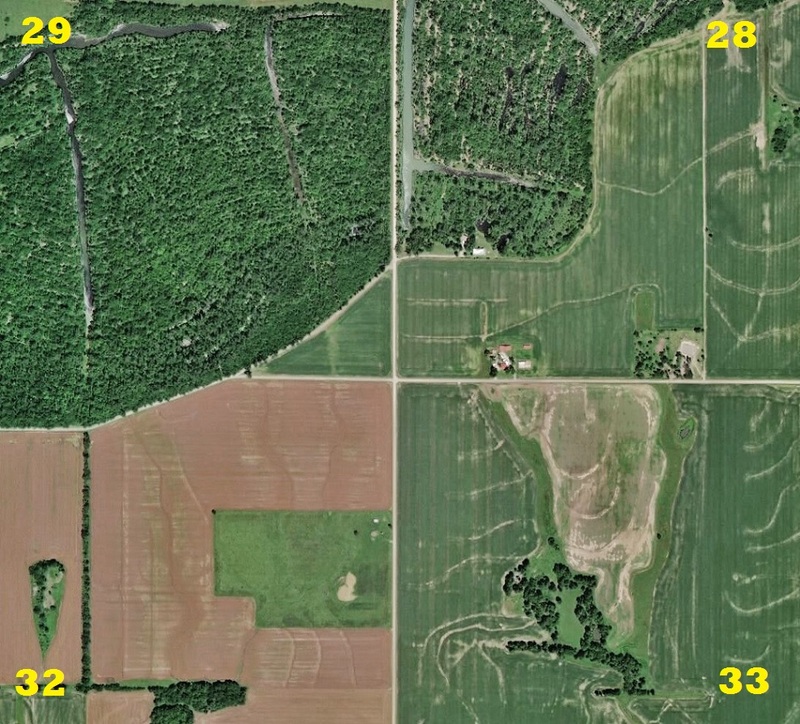 Was not able to find the aerial showing all of sections 28 & 33. Have circled where you can see the remains of three of the shaft mines. The railroad bed is visible at the mine in the upper right that went to the mine farthest North. The railroad line that went to the West mines and branched out can be seen also. Would be a possibility of railroad switch locks to be found. 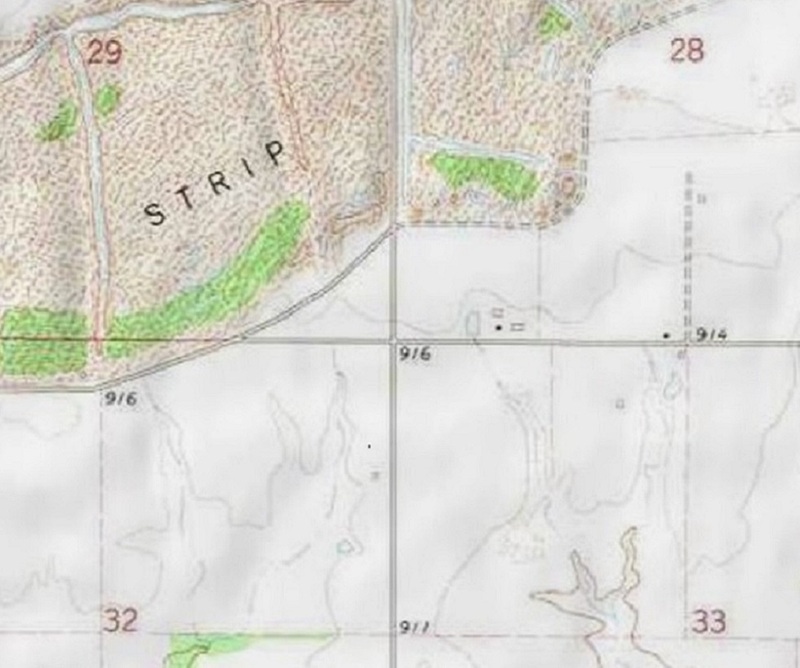 This image is an extract of the latest USGS topo map of the area. Here is the current Google Earth image of the area. As said before, there is a lot of good information on the internet, you just have to put it all together.